Happy Saturday. It's been a little on the warm side here so we've been staying inside. You know what that means...craft time:) Today I found out my daughter and son-in-law are going to a birthday party tomorrow for his little cousin who will be turning 6. I offered to make the card for them. This is Shelly from Wee Stamps. This was my first attempt at a mermaid and she was really fun to color up. Sorry for the yellowish color of the picture. I didn't want to deal with setting up my photo tent for one picture. 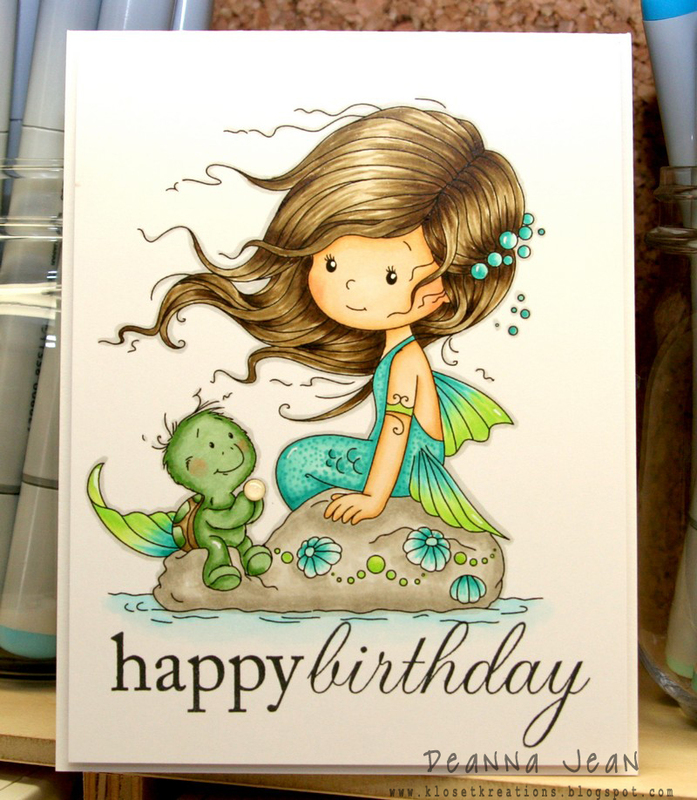 This litle mermaid is adorable. I am so impressed with your coloring, too. It's amazing! Wow, your card is so adorable! Fabulous coloring, too! Beautiful coloring, especially the hair!!! !